Home » Blogs » GJ_Admin's blog » Allah Wallpaper - January 2013 - Join us to learn Allah's Names this year. Allah Wallpaper - January 2013 - Join us to learn Allah's Names this year. 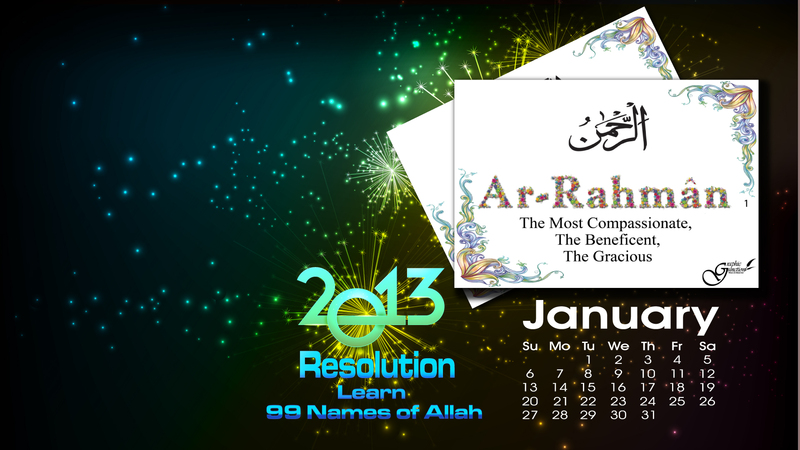 We at Graphic Junction are very excited to lanuch our very first Allah's Name Calender Wallpaper for January 2013. As part of the series for learning the 99 Names of Allh, this should help us All in learning the beautiful Names of Allah. That's our Resolution! Learning the 99 Names of Allah! Hope you will make it Yours! Please do comment below and give us feedback. Attached file is 1920px x 1080 and should work well on most monitors.